Where did musical minimalism come from—and what does it mean? 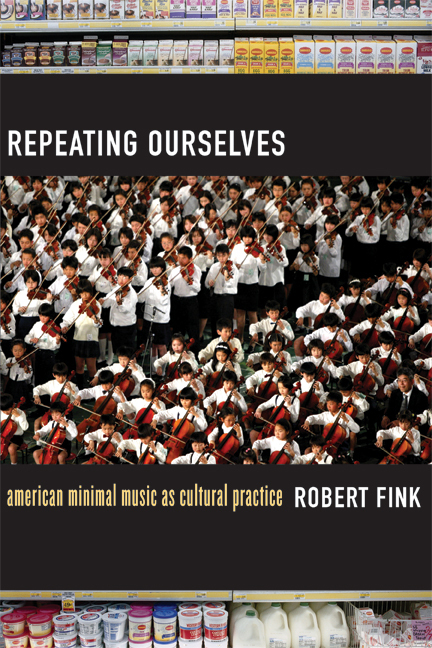 In this significant revisionist account of minimalist music, Robert Fink connects repetitive music to the postwar evolution of an American mass consumer society. Abandoning the ingrained formalism of minimalist aesthetics, Repeating Ourselves considers the cultural significance of American repetitive music exemplified by composers such as Terry Riley, Steve Reich, and Philip Glass. 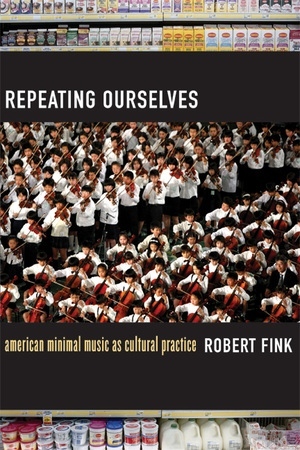 Fink juxtaposes repetitive minimal music with 1970s disco; assesses it in relation to the selling structure of mass-media advertising campaigns; traces it back to the innovations in hi-fi technology that turned baroque concertos into ambient "easy listening"; and appraises its meditative kinship to the spiritual path of musical mastery offered by Japan's Suzuki Method of Talent Education. Robert Fink is Associate Professor of Musicology at the University of California, Los Angeles.